A quick look back at some of the high points from last weekendâ€™s action in the NASLâ€™s 2016 Spring Season. Cosmos Hit The Ground Scoring: Same place. Same teams (with different players, of course). Way different result from The Championship Final last November. New York, using a new cast of characters after the retirements of Spanish stars Raúl and Marcos Senna, plus other changes, played like a seven-time NASL Champion. A couple of early key saves by goalkeeper Jimmy Maurer led to some uncharacteristic miscues in the Ottawa end in New York’s convincing 3-0 victory in the final game of Week 1. Veteran midfielder Juan Arango, the career goalscoring leader for Venezuela’s national team, tallied first-half goals two minutes apart and the substitute Adam Moffat added one from distance (with Romuald Peiser way off his line). With a solid back four and Niko KranjÄar coming off the bench for 13 classy minutes, the Cosmos served noticed that they have a deep squad that may be even better than the one that went unbeaten in the 2015 Spring Season, finished first in the Combined Standings and hoisted the Soccer Bowl Trophy. Fast Times: Last year, Jemal Johnson scored 12 seconds into expansion Jacksonville’s inaugural match, setting a Modern Era NASL record. A forward for another expansion team – Dario Cvitanich of Miami FC – came close to matching Johnson’s feat when he came within inches of scoring only seconds into the club’s South Florida Derby match at Fort Lauderdale. The double debut – the first NASL game on the beIN SPORTS and the first league match in Miami FC history – ended in a 1-1 draw and Cvitanich will still go down as the first goalscorer in club history after he converted a penalty kick in the 12th minute. There were also early fireworks in Cary, N.C., in the season’s curtain-raising game between the Carolina RailHawks and Minnesota United. Inside the first minute, Carolina’s Kareem Moses lofted a cross into the penalty area that was headed wide by Austin da Luz. Seconds later, the Loons’ Christian Ramirez scored a highlight-reel goal (that was No. 3 on the list of ESPN’s Top 10) on his first touch of the season. Oklahoma Is OK: The stars seemed to be aligned during Rayo OKC’s debut in the NASL against visiting FC Edmonton on Saturday night. A new, pristine playing surface at Miller Stadium in Yukon, Okla., with a packed house of more than 6,000 fans. Rayo OKC had a man advantage for 60 minutes, nearly 70 percent of possession and an astonishing 620 passes completed, but no goals to show for their efforts. Goalkeeper Matt VanOekel kept the Eddies in the match, saving a point late in the game when the substitute Georgios Samaras, Greek international, had his point-blank shot stopped. 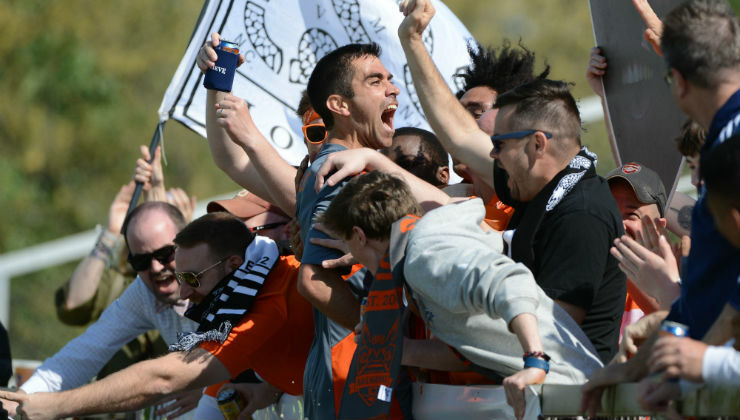 Ready For Prime Time: The first of 34 NASL matches – Fort Lauderdale vs. Miami FC – was carried by beIN SPORTS on Saturday, marking a new era and new opportunity as the league embarks on its sixth season. The beIN partnership is only one of the spokes in the NASL’s TV strategy that now encompasses ESPN3.com, ONE World Sports (which does a “Game of the Week” and weekly highlight show), the Fall Season debut of the league on CBS Sports Network and the myriad local deals of each team. In fact, Miami FC matches will be carried in more than 100 countries. 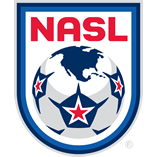 Whether it is via cable TV or streaming to a tablet or smartphone, all NASL games are ready for prime time. We Got The Stats Right Here: Soccer has not been particularly known as a stat-heavy or dependent sport, unlike a slew of North American sports. After all, soccer is the simplest game. Opta has been out to change that and now with its new partnership with the NASL, the statmen cometh. Available on clicking on the match center tab for each match, the graphical representations and deep dive into the info enriches our understanding of games and is great fodder for discussion.